(40 min. from Athens airport). 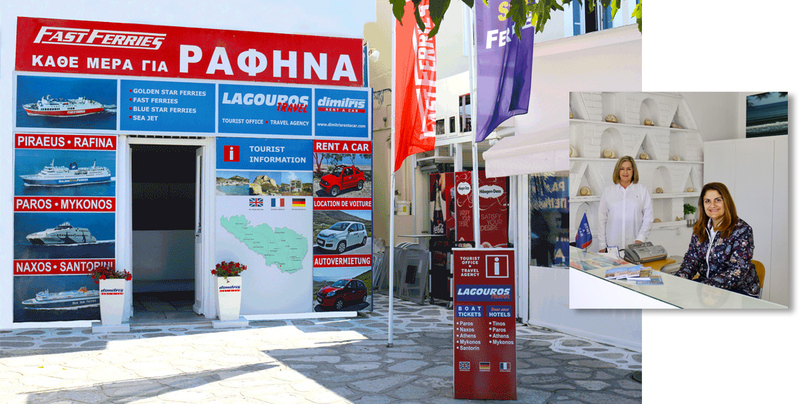 At our office in Tinos you can book your tickets back to Athens or any other island, that is connected to Tinos. Our offices are located in the centre on the promenade of the harbor. You can also reserve and pick up/drop off your car in this location. GET YOUR FERRY TICKETS TO AND FROM TINOS FROM US!